Situated in Psyri upcoming area, very popular to Athenians. Location two streets off Monastiraki square in Plaka area provides the perfect base for a stay in Greece's capital, only two minutes walk from Monastiraki underground station. On your doorstep are all major interests of Athens (Acropolis, Theatre of Herodes Atticus, Parliament Presidential Palace, National Garden, Temple of Olympian Zeus, Stadium, Cathedral, Monastiraki Flea Market, Museums). If you wish to get away from the hustle and bustle of the city the roof top garden offers you a relaxing view of Acropolis and the old city. A 3(***)star superior hotel, totally renovated in 2004 with a fresh atmosphere and special touch and care to all little details. 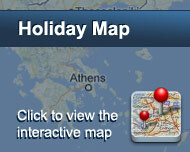 It is a charming hotel for an unforgettable stay on a quite square overlooking the church of St.Dimitrios. 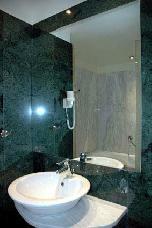 51 twin rooms refurbished with exclusive cotemporary design. some rooms have balcony and some large windows. 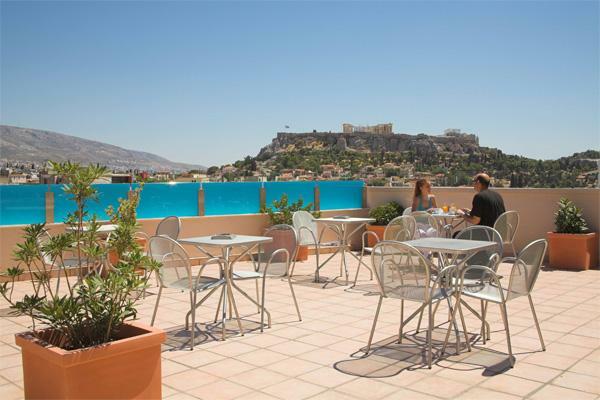 It's excellent location, high standard rooms and the splendid view of the Acropolis from the roof garden are the guarantee for a lovely stay. Please also notice that Arion Athens Hotel is constructed according to the European legislation for fire and safety in our effort to provide services and activities that our customers can enjoy in safety. Είστε ιδιοκτήτης ή διευθυντής στο ARION; Εγγραφείτε τώρα για δωρεάν εργαλεία, που μπορείτε να χρησιμοποιήσετε για να βελτιώσετε την καταχώρησή σας και να συνδέσετε την ιστοσελίδα σας και το σύστημα κρατήσεών σας.